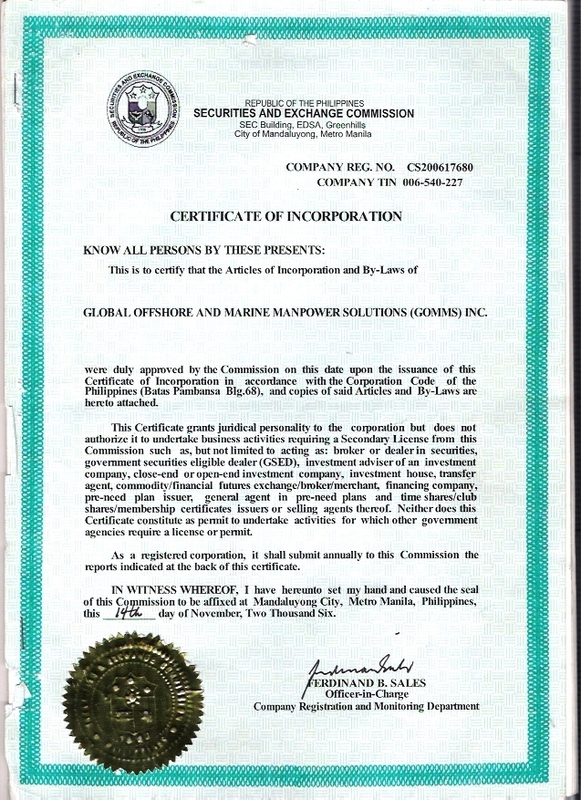 Global Offshore and Marine Manpower Solutions, Inc.
GOMMS helps clients to achieve competitive advantage, with numerous commercial and operational benefits, including reduction in transactional costs, increased operational efficiencies, increased productivity, enhanced safety performance and greater focus on core business. supplying high quality services which add value by ensuring regulatory compliance, by controlling costs and enabling business focus on core activities. 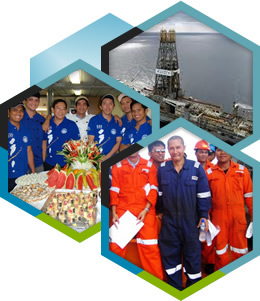 Our portfolio of flexible manpower contracting services encompasses a wide range of technical disciplines on a commercially attractive basis, and includes innovative bespoke outsourcing solutions which have been specifically designed to support the most complex operational and project requirement on a truly global scale. 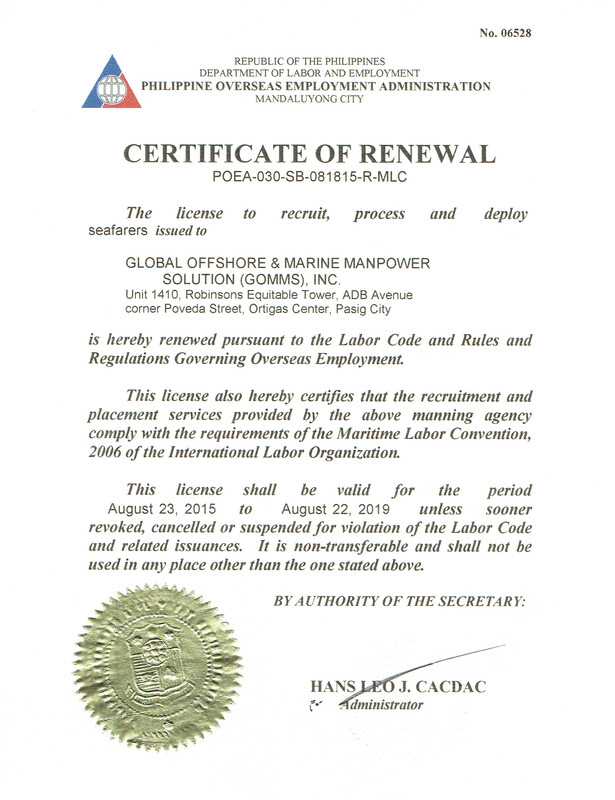 The database of the competent and on call crew or staff, be it for offshore or onshore projects, are continuously updated to meet criteria of requesting organization or fleet through array of hiring procedures starting from placing a nationwide classified advertisement or receiving resolute referrals from other associated manning agencies. GOMMS photo album will be in under construction. No one can access until further notice.